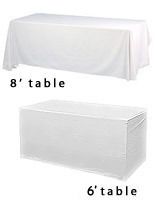 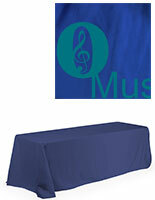 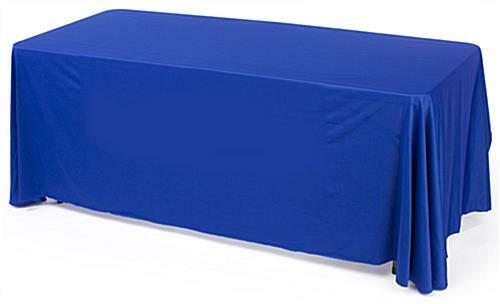 This 6-8 foot convertible blue table cover vinyl imprint does double duty as both a draped throw on 8ft fixtures and a fitted covering on smaller 6ft furniture. 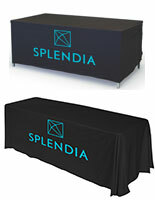 Each woven polyester twill event or trade show accessory is machine washable and fire retardant for safe public use. 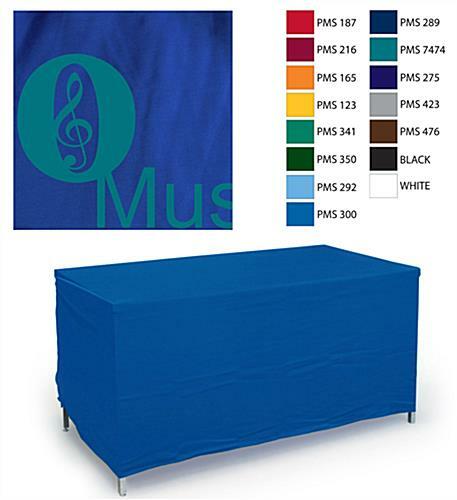 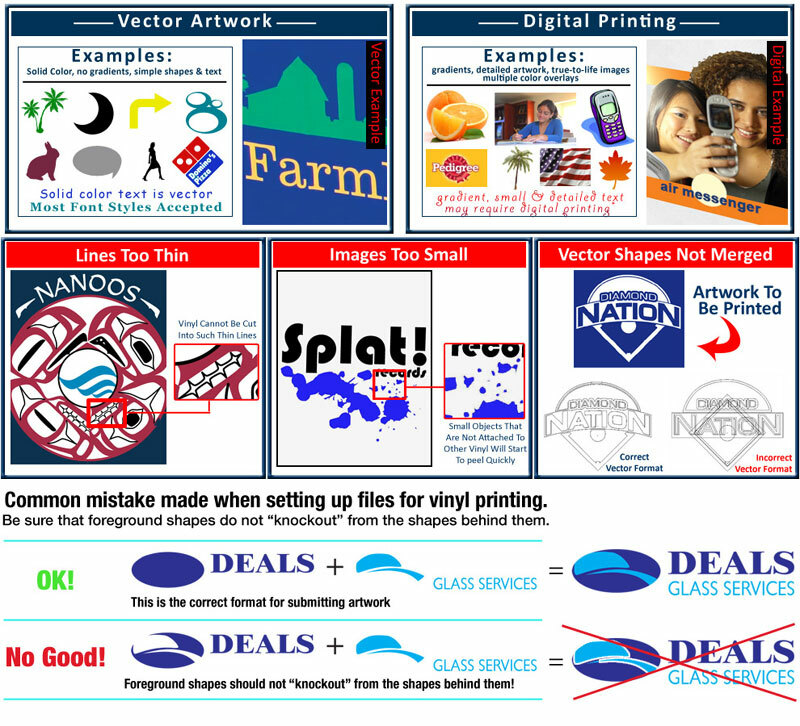 This convertible blue table cover vinyl imprint features custom printing on the front in a single color, ideal for showcasing logos, messaging, or brand imaging. 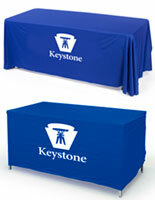 Designed for high visibility in public areas, the polyester throw is easy to use. 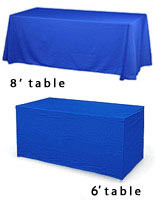 The versatile printed blue table cover vinyl imprint for multiple fixtures has sewn-in Velcro® tabs that make going from a drape to a fitted tablecovering simple and fast. 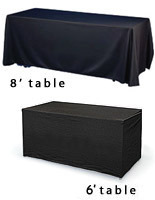 This lightweight, custom printed accessory is an economical choice for businesses that attend a variety of conferences, trade shows, conventions, banquets, and promotional or private events.